In 2007 Doreen has discovered the breathtaking space for performing arts at the first floor of Tacheles in Berlin. The “Goldener Saal” (Golden Hall) at Berlin’s probably most notorious squad has been an important space for the independent contemporary dance scene due to its affordable rents and accessibility. 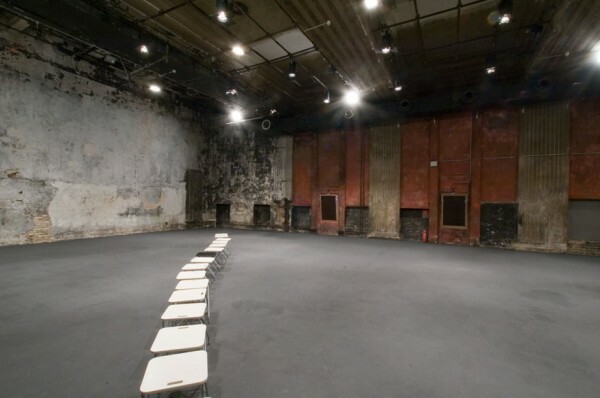 For about 2 years, between 2007 and 2009, Doreen supported the Tacheles Team being in charge of public relations and management assistance for the dance and theatre productions presented at “Goldener Saal”. It is at that time when she discovered her passion for contemporary dance – a world beyond verbal and rational expression. Inspiring encounters with numerous choreographers and projects such as Christoph Winkler, wee dance company, NORDWIND FESTIVAL, Régine Chopinot, HelsinKISSBerlin Festival, Howard Katz, Tomi Paasonen, Nomade~s|Japanese Contemporary Dance, Giacomo Calabrese, Anna Melnikova, Grinberg Method Berlin and LUCKY TRIMMER sparked her turnaround towards performing arts after an academic career as a media psychologist. Since the end of 2009, Tacheles has been fighting for the renewal of its rental agreement with the estate agent who actually owns the space. Legal as well as political affairs pushed the regular dance programming gradually aside. Albeit under rocky circumstances, it’s been still possible for some time to present work there. In 2012, Tacheles finally closed its doors. How long is now.